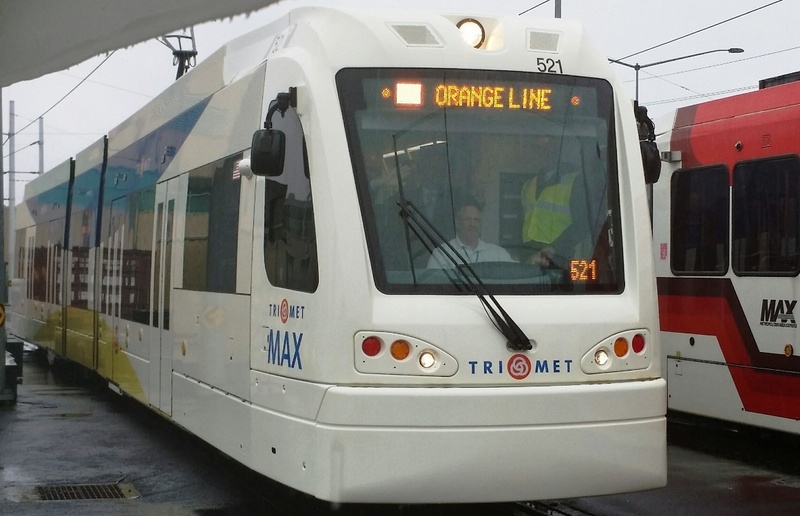 TriMet today previewed the first “Type 5” MAX light rail vehicle (LRV) at our rail facility in Gresham. 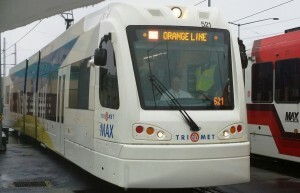 TriMet is purchasing 18 Type 5 trains as part of the Portland-Milwaukie Light Rail Transit Project – or MAX Orange Line. The next generation of MAX trains pulled into the Ruby Junction rail yard with media, and later riders, able to tour the new vehicle. 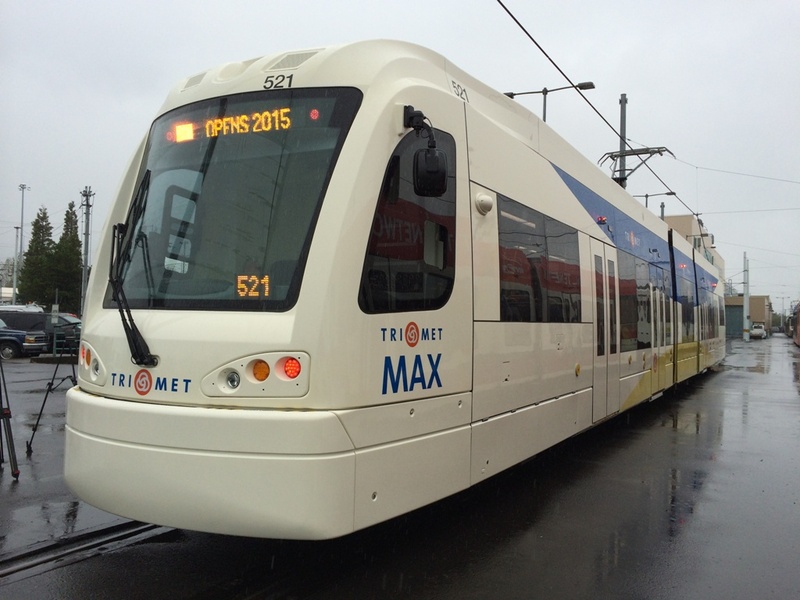 TriMet General Manager Neil McFarlane said riders will notice some improvements compared to the earlier generation of Type 4 trains they’re modeled after. “We made changes to these new trains that will make it more comfortable for our riders, including adding more seats, more capacity, more leg room and improved boarding for riders who use mobility devices. These changes were prompted by feedback from our riders who helped make these vehicles better to ride,” said McFarlane. Learn more about the new Type 5! Train #521 arrived from Sacramento, CA in late September and the second Type 5 vehicle arrives this week. All trains are scheduled to arrive by April 2015. As these are the first vehicles in this new generation, both vehicles will go through an even more rigorous testing period. It includes a 4,000-mile “burn-in” testing period and safety certification before it can go into service. The other 16 vehicles will go through a 1,000-mile “burn-in” testing period and safety certification.